This is the message shoppers now get when attempting to buy a Bible online in China. Bible sales are legally allowed only through government-registered churches. But in recent years, some online stores started selling Bibles. The removal of Bibles from these websites is part of the Chinese authorities’ efforts to enforce regulations and stop unauthorized online sales of pirated copies of the Bible. Hard copy Bibles, including subsidized Bibles supported by United Bible Societies, can still be purchased from authorized church bookstore outlets. Public book retailers are prohibited from selling Bibles. Back in 1988, a miracle took place­­—one that still astounds today. Amity Printing Company was established by Amity Foundation in a joint venture with United Bible Societies. Since then, it has served as the largest production center of Bibles in China, printing millions of copies to fulfill authorized churches’ Bible needs and servicing Bible orders from abroad. Today, in the midst of China’s climate of challenge and change, United Bible Societies’ commitment to printing and distributing Bibles in China stands firm. 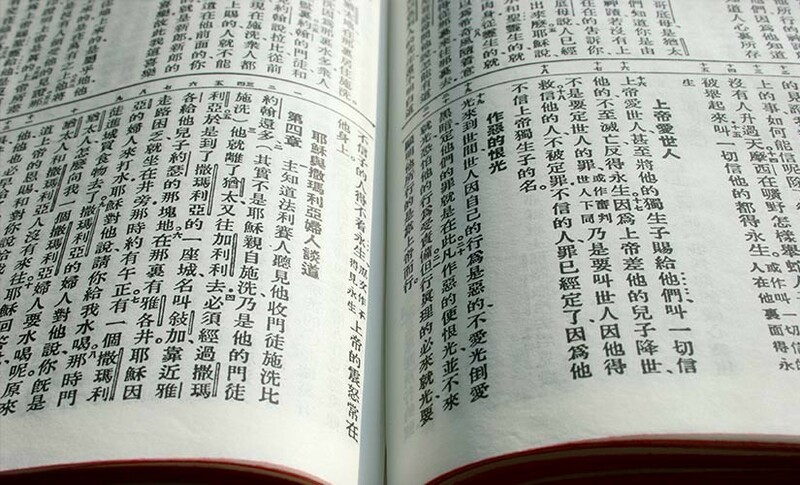 United Bible Societies continues to support the church in China to print Bibles by funding the required Bible paper. Just as United Bible Societies joined together with Amity Foundation to establish Amity Printing Company back in 1988, we can unite in prayer to stand in the gap for China’s Bible cause. Pray for Chinese believers and non-believers to find joy in the Lord through the power of his Word. Pray for growth of the church in China through Bible printing and distribution in China. 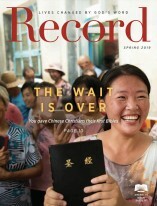 Pray that the church in China can print as many copies of Bibles as possible to meet the needs of the local believers. Thanks to the support of our faithful financial partners, American Bible Society has been engaging people with the life-changing message of God’s Word for more than 200 years. Help us share God's Word where needed most. Sign up to stay in touch with how God is changing lives with his Word! Also receive Bible-reading tips, tools and resources. Also learn how you can pray for Bible ministry in the U.S. and around the world. American Bible Society is a 501 (c) (3) non profit organization. Explore our Bible Resources for individuals and groups. Engage with Scripture online on our Bible Blog. Give the gift of God's Word. Learn More about American Bible Society. American Bible Society is a Combined Federal Campaign participant. Find out if your employer will match, double or triple your donations. Our mission is to make the Bible available to every person in a language and format each can understand and afford, so all people may experience its life-changing message.